Wednesday February 22 at 6:00 p.m.
She took 1930s New York by storm, working her way up writing copy for R.H. Macy's to become the highest paid advertising woman in the country. It was a job that, she says, in some ways saved my life, and in other ways ruined it. Now it's the last night of 1984 and Lillian, 85 years old but just as sharp and savvy as ever, is on her way to a party. On a walk that takes her over 10 miles around the city, she meets bartenders, bodega clerks, security guards, criminals, children, parents, and parents-to-be, while reviewing a life of excitement and adversity, passion and heartbreak, illuminating all the ways New York has changed and has not. 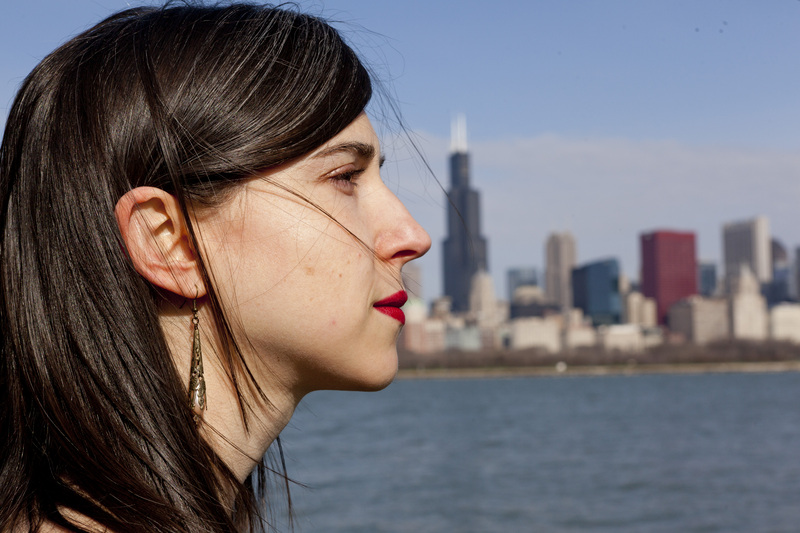 Kathleen Rooney is a founding editor of Rose Metal Press, an indie nonprofit publisher, and lives in Chicago, where she appeared on New City Lit's list of "Lit 50 15: Who Really Books in Chicago." Her works include poetry and nonfiction, as well as the novel O, Democracy! (2014). Reading with Oprah: The Book Club That Changed America (University of Arkansas, 2005) was her first book. Tuesday November 29 at 8:30 a.m.
Reshma is the top-ranked senior at her ultra-competitive Silicon Valley high school. If Reshma wants to get into Stanford, and into med school after that, she needs the hook to beat them all. What's a habitual over-achiever to do? Land herself a literary agent, of course. With her new agent's help scoring a book deal, Reshma knows she'll finally have the key to Stanford. To make herself a more relatable protagonist, she must start doing all the regular American girl stuff she normally ignores. For starters, she has to make a friend, then get a boyfriend. And she's already planned the perfect ending: after struggling for three hundred pages with her own perfectionism, Reshma will learn that meaningful relationships can be more important than success. Don't miss our Sidewalk Sale! Where's Waldo Party at Lake Forest Book Store! Friday July 31 Grand Prize Drawing at 5:00 p.m.
Join us for refreshments, games and raffle prizes! Be sure to make plans to attend the FIND WALDO LOCAL in Lake Forest. Party on July 31st. Waldo will be on hand to draw the winning names for the complete set of Waldo books and other prizes. Grand prize is "Where's Waldo? The WOW Collection" and smaller prizes are the "Where's Waldo" postcard books and the "Where's Waldo?" Magnificent Mini Book Box. Helander's has also been kind enough to donate a box of stationery! 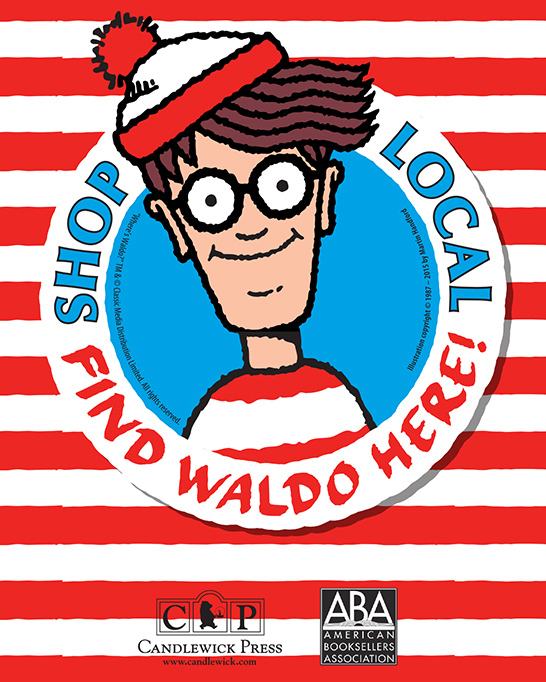 Read more about Where's Waldo Party at Lake Forest Book Store! Mac & Mia, is a great new business, offering unique and fun children's clothing. Samples will be available for viewing. Friday July 31 11:00 a.m. - 1:00 p.m.
Jessica Noga will be showing samples of the Mac & Mia line of thoughtful threads for kids. The Mac & Mia experience allows parents nationwide to skip the shopping trip and easily outfit their newborn to six year old in boutique worthy threads. As a company, we carefully consider social and environmental standards when choosing our brand partners. Every Mac & Mia box tells the story of the artisans and independent brands that have crafted the clothes within. What makes us unique is that every item is personally selected for you by your very own Stylist and delivered right to your door. Talk about convenience! Thursday January 22 at 6:30 p.m. Please welcome author John Monek for a "Meet and Greet" and book signing. John Monek was born in Lake Forest, IL in 1953, one of ten children. Growing up in a family with eight sisters, he quickly learned the art of story telling. He has always preferred the outdoors and adventurous life. Throughout his early years, he participated in competitive sports including track and field. He continues to run to this day, having recently completed the Boston Marathon. Mountainous adventure has played a significant role in his life. For the past thirty-five years, John has explored remote and sometimes extreme conditions throughout North America ranging from the mountains of Colorado to the northern Yukon. As time allows, he continues to travel and explore isolated regions of the world. Today, John is a successful small business owner of a company that manufactures and distributes medical supplies internationally. He resides with his wife, Becky, in Barrington Hills, IL. They have two sons and two daughters. "What did I get myself into?" Ben stopped himself from thinking so hard and shook his head in order to clear it of the morbid thoughts that were closing in on him. He had chosen an odd purgatory for himself. The more he thought about things the more depressed he would become. Out here in the wilderness area of northern Canada there was little one could do but sit in solitude and think. He had to keep his mind on the immediate matters at hand and he had to stop daydreaming. He would need meat in order to survive into the winter. Ben knew that he was dying, but had no intentions of letting himself starve to death. Thursday August 28 at 6:30 p.m. Please welcome Julia Keller a Pulitzer Prize-winning American writer. Julia was born and raised in Huntington, West Virginia. She is an essayist for The News Hour with Jim Lehrer on PBS. In 2005, she won the Pulitzer Prize for Feature Writing. She lives in a high-rise in Chicago and a stone cottage on a lake in rural Ohio. High summer in Acker's Gap, West Virginia--but no one's enjoying the rugged natural landscape. Not while a killer stalks the small town and its hard-luck inhabitants. County prosecutor Bell Elkins and Sheriff Nick Fogelsong are stymied by a murderer who seems to come and go like smoke on the mountain. At the same time, Bell must deal with the return from prison of her sister, Shirley--who, like Bell, carries the indelible scars of a savage past. In "Summer of the Dead," the third Julia Keller mystery chronicling the journey of Bell Elkins and her return to her Appalachian hometown, we also meet Lindy Crabtree--a coal miner's daughter with dark secrets of her own, secrets that threaten to explode into even more violence. Acker's Gap is a place of loveliness and brutality, of isolation and fierce attachments--a place where the dead rub shoulders with the living, and demand their due. Wednesday January 30 at 11:30 a.m.
Maitland, author of Crossing the Borders of Time: A True Story of War, Exile, and Love Reclaimed (Other Press $18.95, due 1/8/13) is an award-winning former "New York Times" reporter, presents a sweeping account of her family's escape from war-torn Europe that hinges on the intimate and deep romance of Maitland's mother, Janine with a Catholic Frenchman. Janine's escape from Germany to France during Hitler's rise to power, her family's eleventh-hour escape on a refugee ship and their acclimation to America are woven with another story--the sorrow at leaving her fiance behind, and the life-long hope of seeing him again. Wednesday January 16 at 10:00 a.m.
Brunch $39.00 includes the book.